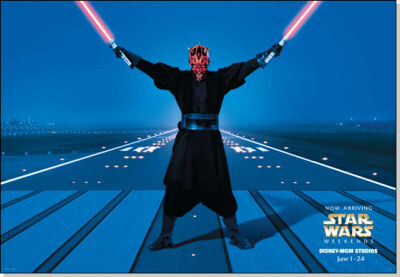 This year's Star Wars Weekends at Disney-MGM Studios in Florida will be between June 1 and June 24, 2007. To promote it, they will be displaying multiple illuminated ads around Orlando International Airport. 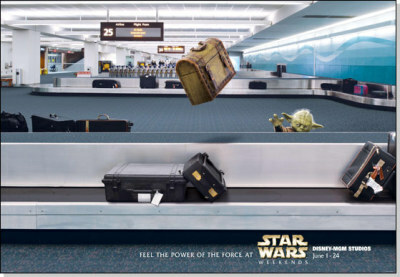 Who would have ever thought that such a wise Jedi like Yoda would check his luggage and not just carry on? 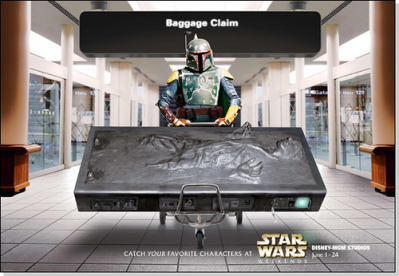 Another poster has Boba Fett pushing a Smart-Carte through the airport. I guess if you are Boba Fett you can get through security with a frozen Hans Solo. 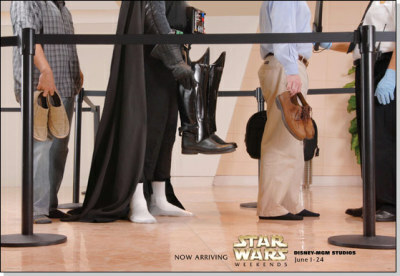 And who would have ever thought Darth Vader also had to take his shoes off to get through security? I thought these were all very creative ads; what do you think? Any opinions from Star Wars fans? Wrap Your iPhone In ANICASE’s Adorable Endangered Species To Save Them!